Ellen Page DRAGGED Chris Pratt for attending anti-LGBT church | SHEmazing! 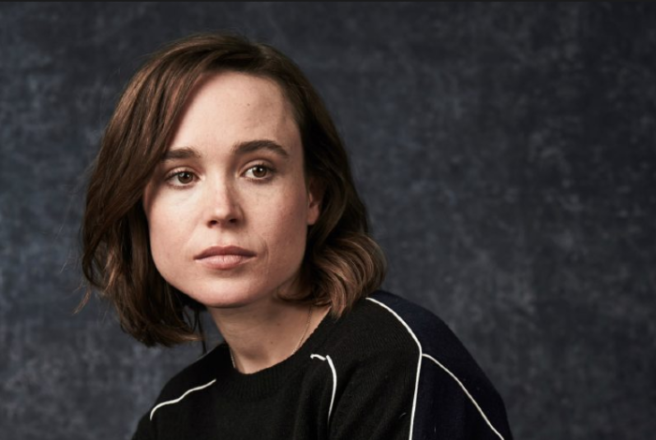 Ellen Page is known for being an absolutely unreal actress, and all-round lesbian ledgebag. Literally, she's queen of the gays. Did you SEE her speech on the Stephen Colbert US chat show about Vice-President Mike Pence's homophobia? We had chillz. They're multiplying. The Juno actress has now called on Guardians Of The Galaxy star Chris Pratt to address his church Hillsong’s attitude towards LGBTQ people. The newly engaged Chris Pratt spoke about his ‘spiritual side’ on The Late Show with Stephen Colbert, ironically the show that Ellen made her badass speech on, and she had some words to say about it. The 39-year old Jurassic World actor is admittedly very religious and identifies as a non-denominational Christian, attending services at the Zoe Church and Hillsong, also attended by Selena Gomez, Justin Bieber and Hailey Baldwin. Replying to Pratt's comments, Ellen wrote to Twitter; "Oh. K. Um. But his church is infamously anti-LGBT+ so maybe address that too?" Page has just celebrated her one-year-anniversary with her wife Emma Portner last month, and famously speaks out against homophobic attacks like the recent horrible incident involving Empire actor Jussie Smollett. In 2015 Brian Houston, leader of Hillsong, has said that while gay people are welcome to worship there, and that he loves all people, Hillsong doesn’t ‘affirm’ the gay ‘lifestyle’. Whatever the heck that means. "Hillsong Church welcomes ALL people but does not affirm all lifestyles. Put clearly, we do not affirm a gay lifestyle and because of this we do not knowingly have actively gay people in positions of leadership, either paid or unpaid." "Jesus was in the thick of an era where homosexuality, just like it is today, was widely prevalent. And I’m still waiting for someone to show me the quote where Jesus addressed it on the record in front of people. You won’t find it because he never did." Pratt spoke on the show about how his church helps him to deal with fame, and has yet to respond to Ellen's tweet.